This write-up has been prompted by repeated misinformation and blame-game by Mr Museveni on Uganda’s chronic energy crisis. This has been, especially, in an attempt to explain the very long delay in completing the Bujagali dam project. It’s important, however, to look at the whole energy sector because this is the heart of a country’s economic growth. The sector has had major problems, both at the policy and the implementation levels. There was no energy policy at all between 1986 and 2002! Government only depended on annual policy statements made by the minister to accompany budget estimates. The renewable energy policy that encompasses our most vital resources was only made in 2007. This is the policy that deals with river dams, solar, biomass (agriculture and forestry products), underground heat (geothermal), wind, and peat (accumulation of partially decayed vegetation). For 20 years, there was no policy!! The energy policy of 2002 and the renewable energy policy 2007 are themselves significantly deficient in some parts and quite misdirected in others. However, I have no intention of delving into that now. The power sector was fundamentally “reformed” and largely privatised under the Electricity Act 1999 before there was any form of energy policy! This, of course, has been the standard practice of the “cart pulling the horse”. This was the law that facilitated the government to hand over the power sector to foreign government bodies, under the guise of privatisation. It is noteworthy that this colossal government failure occurred at a time when there was no political opposition in Parliament; when for most part, the president was the executive and speaker of Parliament. The biggest failure and sabotage of the energy sector, however, was in the conception/ misconception and implementation of power projects. The subversion and corruption evidenced in this sector vividly display Mr Museveni and his regime’s unpatriotic and perfidious intentions. Apart from hydroelectric power and biomass, Uganda has vast renewable energy resources in the form of solar, geothermal and wind. These also happen to be the most environmentally friendly sources of energy. Unfortunately, up to now, no evaluation of these resources has been done! By 2011, Kenya was already harnessing 280MW of geothermal power- far more than the famed Bujagali dam. What is more, Kenya’s geothermal output is expected to grow to 800MW by 2018. Owen falls/ Nalubaale dam was the first power project. It was commissioned progressively from 1954 to 1968; when 10 units had been installed with a total capacity of 150MW. The project cost at the time was estimated at $63 million. This was at a time when Uganda’s population was only six million. Over the turbulent years, output of the dam collapsed from the initial 150MW to about 60MW! The second power project constituted the rehabilitation of the Owen falls dam, up-rating its capacity from the original 150MW to 180MW, rehabilitation of the transmission and distribution lines; and capacity building for the defunct UEB. The project was approved in March 1985 and the project cost was $73.4 million. This is the project that was undertaken during the first years of the NRM regime. There is very little information regarding the implementation of this project, save for the fact that it’s reported to have been completed ten years later in 1996. The third project was initiated under the NRM regime. 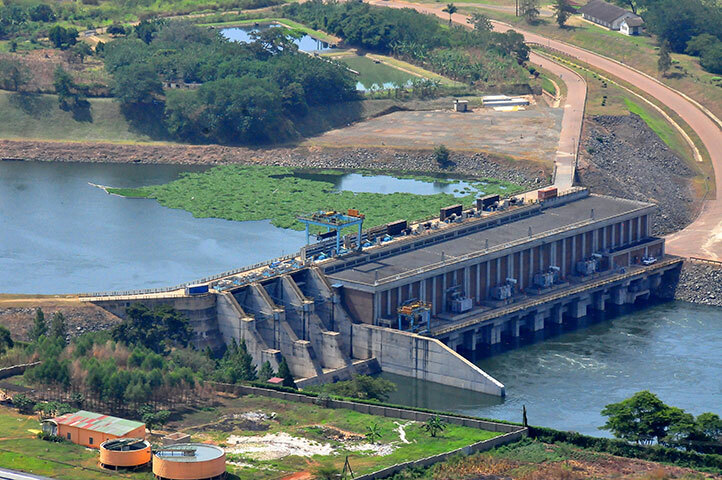 It had three main objectives, namely: improving the safety of the existing Owen Falls Dam/ Nalubaale, expanding power generation by building another dam (1km from the Owen Falls Dam) with a capacity of 102MW, later changed to 200MW and capacity building for Uganda Electricity Board (UEB). The planned project cost was $300 million and the project was launched in 1991. An appraisal that was undertaken before the project was started showed that there was a critical risk to the project from low water levels of Lake Victoria. This was tragically ignored! Government minister Hilary Onek [while Energy minister] has also publically stated that he advised government about the water level risk and the advice was ignored. Gibbs Company, who designed the Owen Falls Dam (1948), and a British Aid agency, Kennedy and Donkin, all advised that the extension of the project was not economically justified because of the low water levels. It’s worth noting that a firm, Acres of Canada, which did the feasibility, detailed engineering and construction supervision of the project didn’t go through competitive bidding. It was another bedroom appointment! In spite of all the concerns expressed about the low lake water levels, the original design of installing four turbines of 34MW each (total of 102MW) was changed to five turbines of 40MW each (total 200MW)! Eventually, only three out of the planned five (40MW) turbines were installed (financed by Norway). Due to the low water levels, only two of the three installed turbines were commissioned. The third is being used as a transformer for a private Jinja thermal plant. A company, SIETCO from China, which was potentially unqualified, and had presented easily verifiable false information, was awarded the tender to do the construction (civil) work. The firm didn’t have money or technical competence to do the work. This was eventually terminated. The re-bidding process resulted in a four-year delay of the project and an additional expenditure of $26 million. The project was based on a plan to increase the price of electricity to levels that were clearly unrealistic for the market to bear. Electricity price was supposed to be doubled immediately (1991) to $4.8 cents/unit, to be trebled to $7.2 cents/Unit by January 1993. Thereafter it was supposed to increase 5% per year from 1994 till a price of $ 15 cents/Unit!! Between 1991 and 1993, the price of electricity for a typical consumer increased from Shs 10 per unit to Shs 86 per unit, because of the changed rate and the fluctuating dollar price. The government of Uganda signed onto these conditions, well-knowing that its citizens were among the poorest human beings on earth and that power was vital for human and economic development. As a result, by 1994, less than 25% of all the UEB bills were paid for. Between 1991 and 1997, unpaid electricity bills accumulated to Shs 71 billion ($6 m at the time). This spelt doom for UEB and provided the justification for winding it up. In spite of increasing electricity prices eight times and getting government capitalization of US$40 million, UEB could not meet its debt servicing! Under the 1999 Electricity Act that “restructured” the power sector, UEB was divided into three companies for power generation. There was the Uganda Electricity Generation Company Limited (UEGCL) for generating power, the Uganda Electricity Transmission Company Limited (UETCL) for transmission and the Uganda Electricity Distribution Company Limited (UEDCL) for distribution. Eskom, a South African government company, leased the asserts of UEGCL for 20 years; with a Power Purchase Agreement (PPA) that compels the only Uganda government-owned company UETCL to purchase all power supplied by Eskom, irrespective of the Lake Victoria water levels. Eskom, together with a UK company, formed the company known as Umeme. Umeme has since entered into dubious agreements with government that have already caused a loss of hundreds of millions of dollars to Uganda since their takeover. The net effect of the third project was the following: That out of the 380MW capacity developed at Nalubaale/Owen (180MW) and Kiira dams (200MW), the actual power output of the two dams, now managed by a foreign company, is less than 100MW!! This means that the Kiira dam investment was a disastrous waste. Lake Victoria water levels have fallen to disastrous levels. The meteoric rise in the price of electricity to levels that is unaffordable by most people. An independent evaluation group of the World Bank (main funder) carried out in 2008 concluded that the outcome of the project (implemented over a 10- year period) was rated as UNSATISFACTORY, the second poorest rating. The winding up of UEB and handing over the strategic power sector to foreign control. The low power output at Nalubaale and Kiira dams led to a high shortage of electricity that prompted the contracting of thermal power (diesel engine generators) companies. This caused a further rise in the price of electricity. The rise was so high that government had to subsidise consumers from taxpayers’ money. It is estimated that government subsidy has been about $100 million per year although about 5% of the population consumes electricity. This is a direct contribution to growth of poverty. Foreign companies that took over electricity generation and distribution (sales) employ experts from their countries; undermining the development of domestic expertise. Mr Museveni blames opposition MPs for the country’s energy problems; saying they delayed the implementation of the Bujagali dam project. Before moving on to Bujagali, can Mr Museveni or anyone in government inform Ugandans who was responsible for the above disastrous developments and what action was taken on them? The Bujagali dam project was a total fiasco, the epitome of NRM regime’s corruption and incompetence. The country will bleed from its effects for very many years. The project was conceived around 1994 as a public (government)-private partnership (PPP). In February 1996, government awarded and signed a contract with AES Nile Power Ltd without competitive bidding, with the project cost of $450 million. As usual, Mr Museveni was central in negotiating the deal. The contract included a Power Purchase Agreement (PPA) that committed Uganda government to buy all the power to be produced at an agreed price. These agreements were a tightly guarded secret between “government” and AES Nile Power Ltd. All efforts by civil society organisations and Parliament to gain access to these agreements were rejected by government. The environmental cost was too high. This included the dangers of over draining Lake Victoria, absence of a cumulative impact assessment of the cascade of dams, especially since no environmental impact assessment was done for the second power project, destruction of the unique cascading Bujagali falls that was a national treasure for tourism among others, and destruction of habitats for fish and birds, with a serious impact on River Nile fisheries. Nalubaale (Owen falls) dam posed a potent threat to the proposed Bujagali dam because its projected lifespan had expired and it was known to be heavily cracked. A company of UK divers were contracted to assess the dam’s safety but the report was kept secret. If Nalubaale collapsed, the boulders and water released would wipe out the nearby Bujagali dam down the river. Neglect of other sources of energy- the bloated project had the effect of stifling development of viable renewable energy options. Lack of cost-benefit analysis- generation of power at any cost cannot be Uganda’s pursuit. Some observed that Bujagali dam was a costly white elephant; that increased the nation’s debt load and produced little power that few Ugandans could afford. The PPA between Uganda and AES Nile Power Ltd was a closely-guarded secret. Again, this made it difficult to ascertain the impact of the dam on Uganda’s economy. It is these NGOs’ concerns that attracted the attention and involvement of MPs, whom Mr Museveni has been aggressively and incessantly blaming for Uganda’s power crisis. It ought to be clearly understood, however, that the involvement of the MPs didn’t at all occasion the delay of the Bujagali dam project. Three developments caused the delay of Bujagali dam, namely: In 2002, a corruption/ bribery scandal broke out, where AES Nile Power Ltd officials were alleged to have corruptly influenced government officials. This led to an investigation by the US Justice Department (based on US Foreign Corrupt Practices Act) and the World Bank Fraud and Corruption Unit. The World Bank financing was withheld from mid-2002 pending the outcome of the corruption investigations. Consequently, dam construction was suspended. In June 2003, two construction firms on the project, Veidekke and Skanska pulled out, citing bribery and environmental controversies. As the problems in Uganda were ongoing, AES Corp, the main shareholder of AES Nile Power, developed problems leading to a drastic collapse of its share value. In August 2003, AES Corp announced that it was discontinuing the construction and development of AES Nile Power project in Uganda. AES wrote off $75 million that it had already invested in Bujagali project. In June 2002, World Bank’s independent investigative unit found that the Bujagali project violated five operational policies of the bank! In November 2002, after the suspension of the project, the High court made a historic ruling which declared the “PPA” a public document and forced the government to make it public. An independent review of the PPA between Uganda government and AES Nile Power Ltd was carried out (after the forced release) by Prayas Energy Group. The review determined that the project cost was inflated more than double. The agreement would make the Ugandan people pay $20-40 million extra per year compared to similar projects in other parts of the world. The 2003 pull-out of the project by AES was, therefore, a blessing for Uganda- short-lived as it turned out to be. Bujagali dam was re-bidded in 2005. The project partners, IPS, Sithe Global Power (USA) and the government set up a new company- Bujagali Energy Ltd (BEL) to operate and run the project. IPS and BEL signed a Power Purchase Agreement (PPA) and an Implementation Agreement with government (UEGCL) respectively. These agreements were signed before Parliament approved the government’s obligation as required by law. The project cost was put at $860 million!! The government advanced BEL $90 million to kick-start the project. The project also inherited the $75million asserts forfeited by defunct AES Nile Power Ltd. Construction work resumed in 2007 and was planned to be completed in three years. The Bujagali Power Project was inaugurated in October 2012, 16 years after the initial contract was signed!! At the inauguration, Mr Nazir Juma, the chairman of BEL, reported that the total project cost was $902 million! The investigation by a parliamentary ad-hoc committee on energy, chaired by Bududa South Jacob Oboth-Oboth showed that the actual cost of the dam project was $1.3 billion. The committee recommended a forensic audit of the project. Bujagali dam, even at the official $902 million, is the most expensive dam in the world today [given its limited power capacity]! Construction of hydropower plants in Africa and other continents cost between $1.0- 1.7 per MW capacity. Bujagali, at the officially declared project cost stands at $3.6 per MW. If the parliamentary committee findings are correct, this will go up to $5.2 per MW! Worse still, whereas the installed capacity of Bujagali dam is 250MW, due to the low water levels that were known to obtain, the actual output of the dam since inauguration has not exceeded 130MW on average! The total power generated by the three dams today is just a little more than what the upgraded Nalubaale/ Owen falls dam produced, yet it’s ten times more expensive and the country is saddled with debts from the white elephant projects. This is the latest scandal, whose extent is still unfolding. Karuma dam project is supposed to generate 600MW of power. It was conceived in the mid-1990s and has been on the drawing board since. Corruption allegations started even as the project was being drawn up. It may be recalled that a Norwegian company that had interest in getting the Karuma contract allegedly paid a Ugandan senior government official a $10,000 bribe. The bids for Karuma dam were eventually invited in August 2010. Eight major bidders were shortlisted. All the others except three companies (two Chinese and one Iranian) were eliminated at the pre-qualification stage. Immediately after this, allegations of bribery started. They were first published in The East African newspaper. It was alleged that the contracts evaluation committee received $1.2 million from the Chinese. Since then, court injunctions, official investigations, court cancellation and repetition of the evaluation process have crippled the procurement process. In March 2013, the IGG recommended (and government has accepted) that the project should be re-tendered! Nearly three years on, no contractor has been selected. 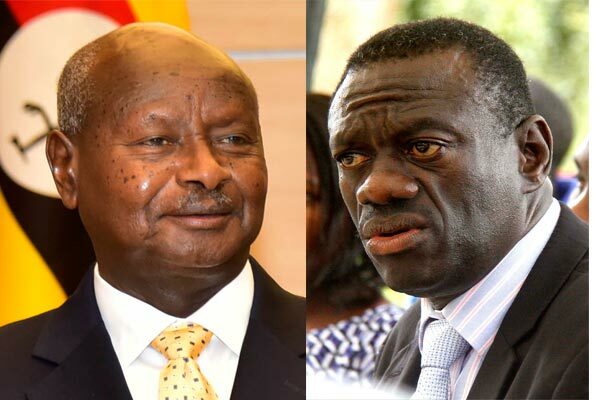 In a Daily Monitor story of April 15, 2013, Mr Museveni is reported to have informed his cabinet that some of his ministers were demanding for a $200 million bribe from a Chinese firm aspiring to win the Karuma power dam construction contract. It has also been reported that Mr Museveni has now personally taken over the procurement process to “fast-track” it. Yes, hold your breath!! Theft/ corruption and dysfunctional government systems and institutions in the Energy sector are responsible for the power crisis in Uganda. Mr Museveni/ State House’s hand is pervasive in all the project scandals. The Ugandan people are and will continue, paying heavily for the mega scandals in the Energy sector. What is presented here regarding the energy sector is certainly replicated in all sectors of government. This is why roads in Uganda are the most expensive to construct and take forever to complete yet they disintegrate in a very short time. This is why Uganda Railways collapsed, ICT development is poorest in the region; water dam reservoirs for dry areas of Uganda remain a fantasy. This is why, in spite of being in government for nearly 30 years and uncountable money spent, all social services are in shambles, agriculture has collapsed, Ugandans have no national IDs; etc. Accordingly, recommendations need to target the pervasive failures, theft and corruption, subversion, and dysfunction of government and those that have colluded and abated its crimes. The following measures are recommended: Parliament should urgently institute a formal and public inquiry into the grave and glaring cases of corruption, abuse of office and misconduct in the implementation of the power projects in Uganda. The Auditor General should carry out a forensic audit of all the power projects. Parliament should initiate a probe into the role of the World Bank and associated institutions in supporting dubious projects that enslave Ugandans to paying huge debt burdens. Where these lenders have acted imprudently or illegally, a case should be made for non-payment of their loans. MPs should revive the impeachment proceedings against the “president” under Article 107 (a) and (b). They should start by drawing up the many, very clear, and incontrovertible charges of abuse of office and misconduct (including acts of commission and omission) as provided for in the constitution. Unless the mafia-like network in government is completely purged, the misery of Ugandans can only intensify. Let all Ugandans who are informed rally other citizens to say that “ENOUGH IS ENOUGH” and to demand a better government.